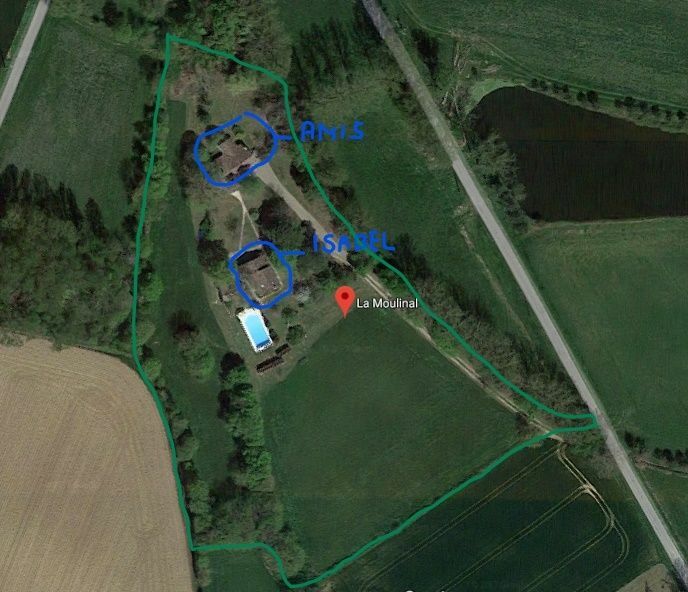 La Moulinal is a superb property with 2 tastefully restored 18th century cottages, located in the green, peaceful setting of an idyllic private park of 1,7 ha (4.4 acres) with ancient trees. The houses still exude the charm of the typical stone farms they once were, but have at the samen time all modern comforts. The holiday homes can be rented together or separately. Both houses together can accommodate 14 people. Maison d'Isabel accommodates 6 to 8 people, maison d'amis for 4 to 6 people. Every house has enough privacy. Outside the months of July and August, only one house is let at a time, i.e. Maison d'Isabel (unless one group hires both houses), so that you can enjoy maximum privacy.